The Valley-side communities of North Hollywood and Burbank contain a lot of entertainment industry workers who often live and die by their computers. Writers galore, as well as all the film and television support staff need to have good working computers and laptops. PC Fixer can bring the businesses and residents of these areas the very best computer services in the region. 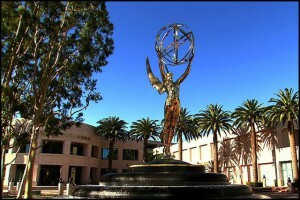 If you are located near the Television Academy, or the Burbank studios, our team can deliver on-site or remote services and repairs. We understand the importance of having fully functioning computing devices. We work hard to bring you the speediest solutions possible. Whether you are dealing with hardware or software issues, we can quickly diagnose the problem and explain the possible solutions. All of these services and any other computer-related assistance are available to you from our team, as soon as you contact us for help. Whether your location is north or south of the 134 Freeway, you can be assured that our team of experts will find you. Your desktop computers, business terminals and system servers are the crucial hardware for life and work. Our specialists are trained to work with all makes and models of computers, so whether you use PCs or Macs you can feel assured that we have the expertise to resolve your issues. If your hard-working laptop requires repairs or maintenance, we can bring you the care and attention that your machine needs. Your LCD monitor screens and motherboards are familiar territory for our technicians. Not everything that goes wrong with a laptop requires the purchase of a new one. If you consult with our team first, we may be able to solve your problem with repairs or replacement parts for your laptop, and save you money. Keeping the cords for all you computing devices and peripherals can be an unexpected challenge. If your older but perfectly running printer does not want to connect directly to your new desktop or laptop, we can work out a solution. We work out the best method to handle all your cabling issues, making sure they work safely. Possible damage from furniture and traffic patterns can be prevented by careful planning, which our trained team can provide. 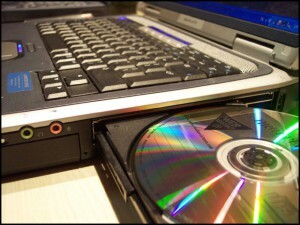 For businesses and many households, networking a group of computers and devices can be a concern. Do you know how to make sure that your in-house wifi is secure and not leaving access open to outsiders? Do you have adequate firewalls in place to prevent malware from being downloaded from the internet into the computers and devices of your network? Our team of experts can evaluate your system and provide you with the security you need, as well as make sure that every device in your network communicates effectively with the rest. If you need a custom computer for specialized work, or if you simply want the top of the line custom machine, we can meet your requirements. We build computers that meet our clients’ specifications. However, if you are on a budget, we also can provide the best of refurbished computers, with parts adapted to your regular usage. Just consult with our experts and we will balance your specifications with your budget to give you the most workable solution possible. The studios in Burbank may be able to afford to maintain their own IT Departments, but the small businesses that are centered in Toluca Lake and NoHo face the challenge of trying to solve IT problems on their own. However, with PC Fixer at hand, they no longer need to struggle. We can meet your IT needs when you need an urgent solution. We provide both on-site and remote evaluations for our clients, keeping your IT costs down. We are ready when you need us. From program training to data recovery to malware removal, we have the training and expertise to keep you running. Contact us today for any computing needs, whether it be desktop computer or laptop repairs, IT service assistance, or any other computing related question or problem. You will receive prompt, friendly, expert service when you turn to PC Fixer for help.